In many ways the adult services are similar to those of the children’s. We have the same team of healthcare professionals which includes consultants, registrars, dietitians, physiotherapists, social worker, psychologist and specialist nurses. All the team are used to looking after and dealing with issues or problems that young adults with CF may have. Many people find it helpful to come and look around the centre and meet the team before transferring. This visit will provide you with the opportunity to ask any questions or discuss concerns that you may have before you transfer. If you feel you would like to do this contact the CF nurses at the Children’s hospital and they will be able to arrange this for you. Alternatively we could show you around the ward and introduce you to some of the staff when you attend your first outpatient appointment. You are also welcome to call and discuss any issues you may have by phoning the numbers of the CF team provided. At the first visit to us, you can bring whoever you like with you, for support. Your parents will not be excluded from consultations with doctors or any other members of the team. However, as a young adult with Cystic Fibrosis you are now at the stage where you may want to take more responsibility for your health. Your family are obviously still very important and there may be times when you want them to be very involved in the discussions about your health and treatment. We want to support you in becoming more confident in making decisions for yourself. Therefore, over the coming years and when you have settled in and feel comfortable with the team, it may be most helpful for you see the team on your own. 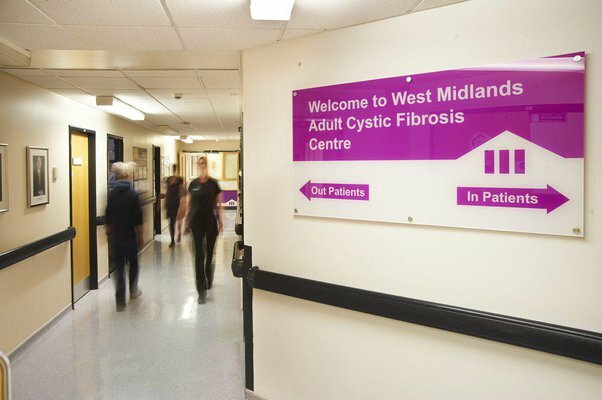 The CF clinics are held in the outpatient department of the adult CF centre based near to ward 26. 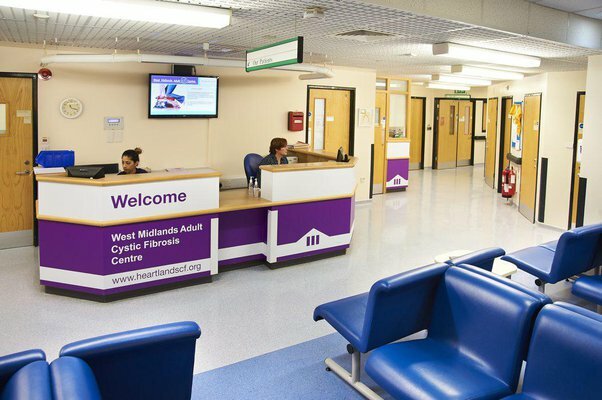 On arrival at the clinic you will need to book in at the reception desk. The nurse will then ensure that the following tests are performed before you see the doctor. These are height, weight and oxygen saturation levels. In our centre the patient is allocated a room in clinic where they will normally remain for the length of the visit. Whilst in the privacy of this room spirometry (blowing tests) and sputum specimens will be obtained. This is also where the team members i.e. specialist nurse, dietician, physiotherapist, social worker and doctor will review you. The first time you attend the outpatient clinic you may be here for a couple of hours. This is mainly due to the time that the consultant and CF team will need to spend getting to know you and going through your current treatments. The doctor may also want to organise some routine investigations such as an x-ray and blood test. Clinics operate on an appointment system. Please could you arrive at the clinic 10mins before your appointment time. To minimise waiting time patients will be seen in appointment order. In order to keep our records up to date please inform the receptionist of any change of address, telephone numbers and next of kin. This is important information for us to have if we need to contact you. When you have finished in clinic please hand your appointment slip to the receptionist. A follow on appointment will then be sent to you by post. We look forward to welcoming you to the adult centre!